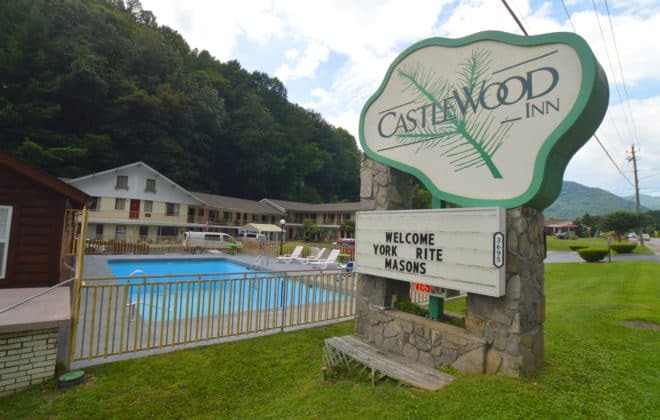 Located in Maggie Valley, Castlewood Inn is in the mountains and minutes from Maggie Valley Opry House and Maggie Valley Gem Mine. This motel is within close proximity of Stompin’ Ground and Wheels Through Time Museum. Make yourself at home in one of the 28 air-conditioned rooms featuring refrigerators and flat-screen televisions. Rooms have private balconies or patios. Complimentary wireless Internet access keeps you connected, and cable programming is available for your entertainment. Private bathrooms with shower/tub combinations feature complimentary toiletries and hair dryers.